Using DDNS to access IP cameras is one of the most popular ways to enjoy remote viewing when you are away from home or business. How to set up DDNS for IP cameras? Will there be any security concerns to access IP cameras through DDNS? In this post, we will solve all of your worries above, share what CCTV DDNS is with you and also guide you how to configure IP cameras for DDNS in a flash with a video tutorial. To start off, we would like to walk you through the basics of DDNS for IP cameras to make some preparation for the setup process. CCTV DDNS is a service that enables you to access the security cameras remotely each time over the Internet with the dynamic IP address. Put it simply: Your IP cameras with free DDNS service are less accessible to hackers or intruders due to the varying IP address, which makes the remote viewing more secure. Take Note: These dynamic IP addresses are assigned by your Internet Service Provider (ISP) in your Internet connection and they also assign static IP addresses as well. Mind that you shall keep your IP addresses or IP cameras with DDNS service private in case of any external attacks. Setting up DDNS for IP cameras doesn’t have to be a chore. With the video tutorial below, you are able to configure IP cameras with DDNS service within minutes by yourselves. There is a wide range of DDNS service providers available, free and paid versions as well. You may choose one based on your needs and budget (check here to find the best DDNS providers). Below we will take No-IP as an example. Note that you need a DDNS service to access your security cameras remotely if your ISP has assigned a dynamic IP to you. Or else, you won’t be able to map the Internet domain names to the IP addresses of DDNS for security cameras. After the successful signup, you will be assigned an IP cameras DDNS hostname or Internet domain. To check your hostnames, you may log in to your account and click Dynamic DNS – Hostnames. Here we will apply Reolink Client as an example to instruct you how to set up IP cameras with DDNS service. #1. 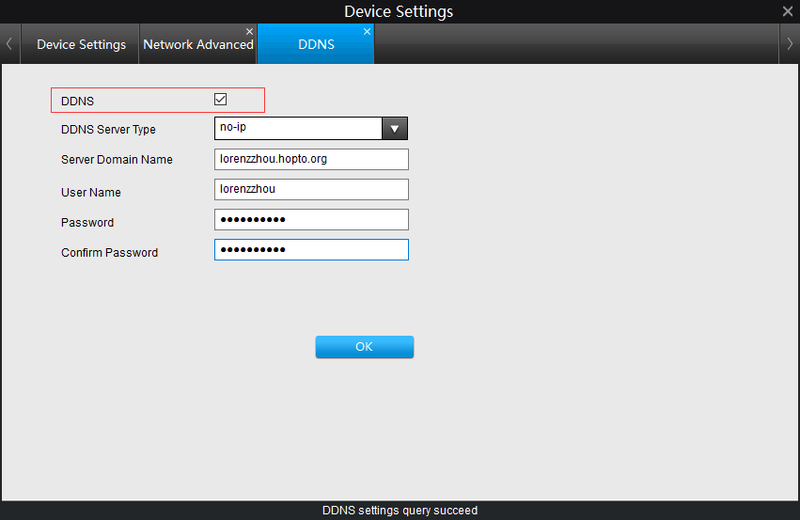 Launch Reolink Client and go to Device Settings – Network Advance – DDNS. #2. 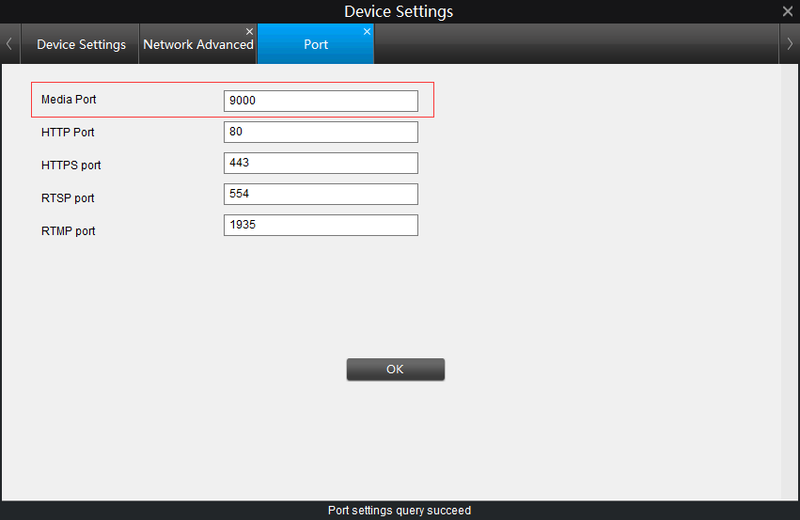 Enable DDNS and choose DDNS server type. #3. Type in the hostname, username and passwords of your IP cameras with DDNS. Before you set up the security camera port forwarding, you may check the value of Media Port of your IP cameras with DDNS by clicking Device Settings – Network Advance – Port Settings. Then, you are ready to log in your router and forward the Media Port to the IP address of IP cameras with free DDNS service on the router. Note: Different routers have different pages to set up and you may refer to the user manual for more details. After the successful setup, you can watch the live view of the IP cameras with DDNS on web browsers. If you are using Internet Explorer for remote viewing, remember to add HTTP:// before the domain name. For the other browsers, just type the IP camera DDNS hostnames in the search bar and you are ready to go. Still find it difficult to configure DDNS for IP cameras on your own? Below are 2 simpler alternatives that you may be interested in. If you want to skip the IP cameras DDNS settings or prefer other simpler ways to view IP cameras over the Internet, you may consider the two alternatives as followed. P2P IP security cameras apply peer-to-peer technology that simplifies the connection between the security cameras and phones or PCs, meaning that you can access the security cameras remotely easily without DDNS IP camera setups. Each P2P security camera comes with a unique ID number (UID) registered and integrated at the developer level. By typing in the UID and the password, you can watch the live view of the P2P security cameras on software with a stable Internet connection in a breeze. 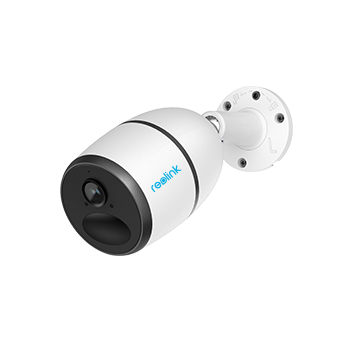 Below we will take Reolink Argus® 2 as an example to show you how easy the P2P security camera setup is. 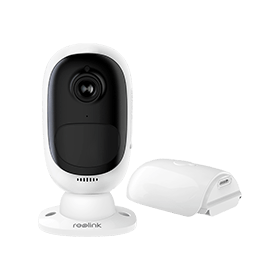 Bonus: If you have no Internet connection or power outlets available, but you want to view your security cameras over the Internet, you may consider applying Reolink Go, a 4G LTE battery-powered security camera. Supposed that you don’t want to configure DDNS for IP cameras or pay for DDNS service subscription fees, you may choose to access the security cameras remotely with static IP. Generally speaking, ISP won’t assign you static IP addresses but you can request one from your ISP with justified reasons at extra cost. If you do not plan to spend money on static IP, you can choose P2P IP cameras as the budget-friendly security options. Bonus: In order to access the security cameras remotely in a more secure manner, you may apply multiple methods, such as upgrading firmware and changing passwords (also read this post to learn more feasible methods to protect IP cameras with DDNS from hacker attacks). Why are my IP cameras with DDNS inaccessible over the Internet? How to solve issues that DDNS service for security cameras is failed? What should I do when the DDNS for IP cameras is not working? You have encountered these problems after finishing IP camera DDNS settings. Here are several useful tips for you to get out of the trouble. Outdated firmware is one of the major reasons of IP camera DDNS service errors. To fix previous bugs and provide new features, top IP camera manufacturers and DDNS servers keep launching new versions of their firmware. Therefore, by updating the firmware, you are less likely to meet network issues of DDNS security cameras. Another possible reason for failed DDNS service for IP cameras can be the specific firewall settings of the routers. If your routers have blocked unknown IP addresses, you won’t be able to access the security cameras remotely. So, altering the firewall settings on your routers to permit dynamic IP addresses will help reduce network failure of IP cameras with DDNS service. Remember that without port-forwarding setup, you cannot stream the live feed of CCTV cameras with DDNS when you are away from installation spots. To ensure smooth remote viewing of IP cameras with DDNS, you may log in your routers to make sure that you have done the port-forwarding properly. As we have mentioned above, you can access the IP cameras with DDNS remotely with a dynamic IP address each time only when the internet connection assigned by your ISP is also dynamic. 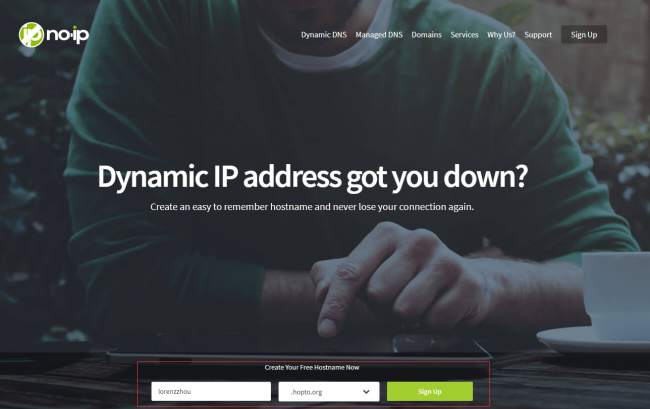 In order to avoid possible network issues, you need to make sure that your Internet connection is also dynamic before you configure DDNS on IP cameras (follow this tutorial to check if your IP is static or dynamic). Need a helping hand on DDNS for IP Cameras? Leave your questions in the comment below and we would love to help! This entry was posted in How-to Guide and tagged access IP camera remotely, access IP cameras online, CCTV DDNS, how to set up DDNS, security camera remote viewing. Lorenz is an independent writer who is keen on security industry. She also loves to share new ideas and information of security life with readers. You can also use https://staticIP.io . Check them out!